Welcome back, to 24 Days of a Baltic Christmas on Femme au Foyer! The original countdown in 2014 was a showcase of Estonian, Latvian and Lithuanian holiday food, crafts and traditions. 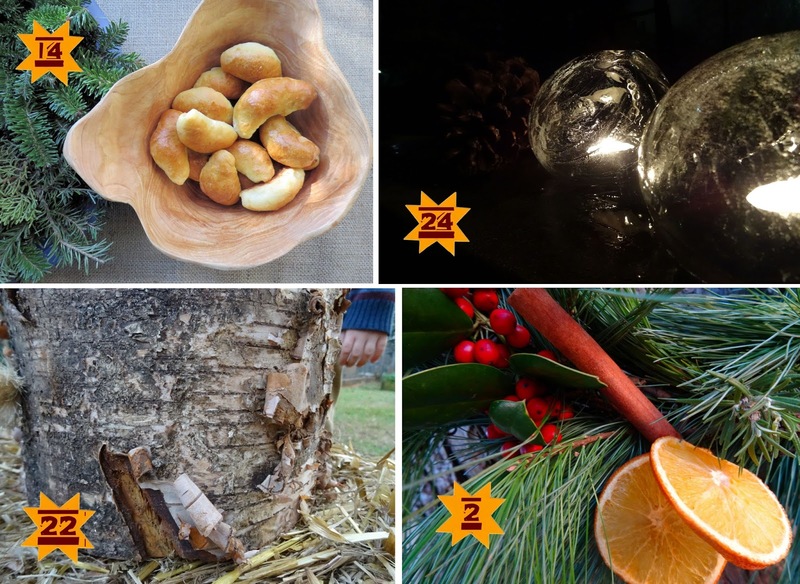 Baltic authors such as Zinta Aistars, Marika Blossfeldt, prof. Guntis Šmidchens and Elga Ozols joined us with Christmas memories, stories and recipes, while bloggers Marianna, Daina, Tania, Daiva and Imanta shared family holiday traditions, new and old. The focus shifted with 2015’s countdown, which was a guide to creating your very own Baltic Christmas; from Baltic-inspired crafts to traditional food, the series was daily inspiration on simple ways and fun crafts to bring a Baltic Christmas to your home the weeks preceding Christmas. Lelde from Dabas mamma joined us to make dzijas rombiņi (God’s eyes), Inese from Are You Happy shared the natural decorations made by her family, and I contributed tutorials for wooden trees and ice lanterns. We made Pehme piparkook with Pille, the Estonian food writer and author of the blog NAMI – NAMI: a food blog, and Inga shared her famous pīrāgi recipe. This year we have a variety of Baltic authors, bloggers and photographers joining us to bring you 24 days of Lithuanian, Estonian and Latvian-inspired posts, featuring mouthwatering recipes, beautiful photos of holidays in the Baltics, and a daily dose of days-leading-up-to-Christmas anticipation! Please join me in the 2016 version of 24 Days of a Baltic Christmas!! Follow #24DaysofaBalticChristmas with @FemmeFoyer on twitter. Tvīt, tvīt! Third year -NOW we can call "24 days" a TRADITION!